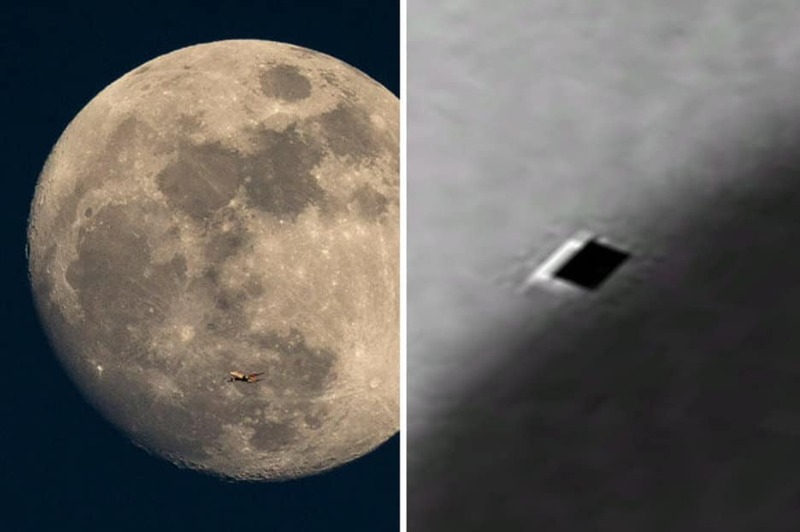 UFO enthusiasts say they have found a trapdoor on the surface of the moon – with astonishing photos to prove it. Alien-hunting expert Scott C. Waring said he made the bizarre discovery while looking a images taken of the moon’s craters. In the Bancroft crater, he said he discovered a perfectly square “door” that measures 70m x 50m, claiming he used Google Earth coordinates to get the exact size. Images – taken by NASA’s Lunar Orbiter – show what appeared to be a dark spike or an antenna on the moon’s surface. Finish UFO spotter Mark Sawalha called them evidence of a mining operation, saying: “I think this finding could be the antenna of an underground alien base, because there is a plateau under the spike.